There is an undeniable need for affordable housing in a community with high housing costs. Hopelink’s housing programs provide stability and shelter for families in crisis, allowing them the time to focus on the steps needed to ensure a stable future. Clients who stay in Hopelink’s shelters gain access to Hopelink’s programs under the guidance of a case manager. The programs offered help equip clients with the tools they will need to find permanent housing, and to exit poverty on a permanent basis. 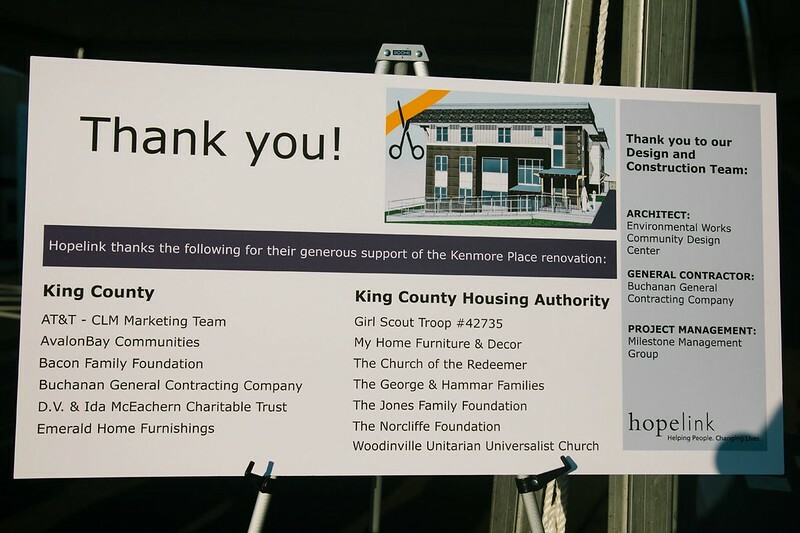 The Kenmore shelter is the only shelter available for those who are homeless in north King County. 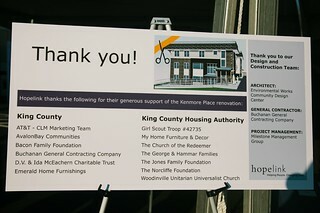 The shelter required extensive renovations throughout to continue to offer a safe haven for homeless families. The site has been renovated and now offers 11 safe homes for an estimated 1,000 families over its expected 50-year lifespan. The units include facilities for people with disabilities. The renovations were completed in August, 2015.